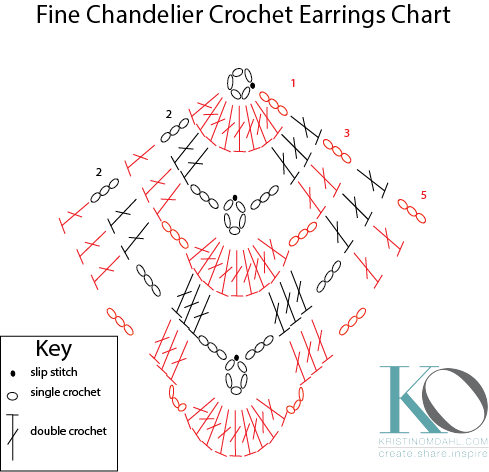 This is a simple earring pattern that can be whipped up in only a few minutes. Whether you choose a solid color of yarn, a variegated yarn, add beads or other embellishments, or not, there are unlimited ways to add these cuties to your wardrobe. They make fantastic last minute gifts, too! Gauge is not critical for this project, but 12 st / 3 rows = 1" in double crochet. Each motif is 2" wide x 2" long; with the findings, the earring is 3" long. Ch5, slst to 5th ch from hook to join ring. Fasten off. Weave in loose ends. Open the stitch marker and insert the top of the earring and the french hook into the ring before closing. Repeat for second earring. Spray the starch onto both sides of earring and let dry. Repeat once more. Jun 8 How to Lucet and Giveaway!